Can you hide your knees behind an iPhone 6? Or, more importantly, why the hell would you even want to do such a thing? 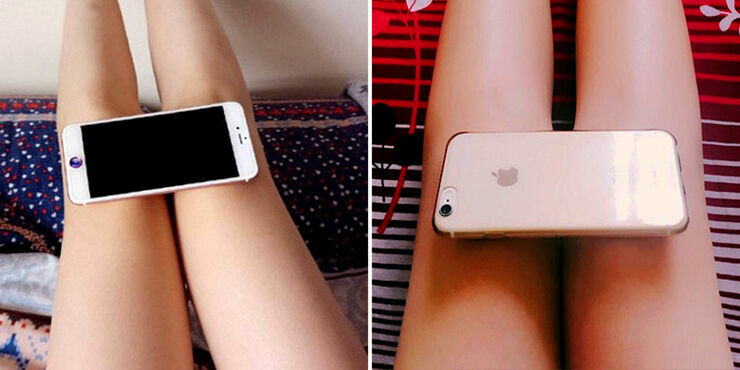 Well a new body trend in China has seen women posting images of themselves with an iPhone 6 over their legs. 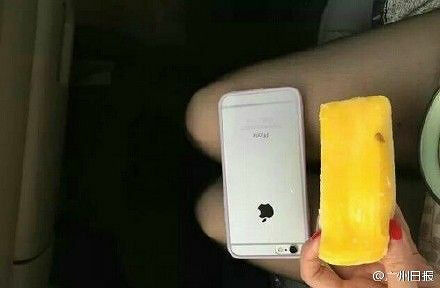 The idea is that if you're skinny enough, the phone will cover your knees. It comes a few weeks after another social media trend where women were posting pics of how slim their waists are by holding up an A4 piece of paper. The new iPhone trend is being seen as equally disturbing, because it puts yet more pressure on women, young women especially, to conform to a body image that isn't healthy. It's thought these memes, which also include putting your hand around the back of your waist to reach your belly button, balancing coins on your collarbone, and wrapping a paper note around your wrist, may have contributed to anorexia rates rising in the last few years. What they definitely do is promote unhealthy beauty expectations. A lot of the trends became popular on Chinese social network service Weibo, which is a bit like twitter. But as well as women succumbing to the various ridiculous trends, they also seem to have plenty of detractors too. People now voice their concerns about the potential health risks of China’s recent slimming trends. 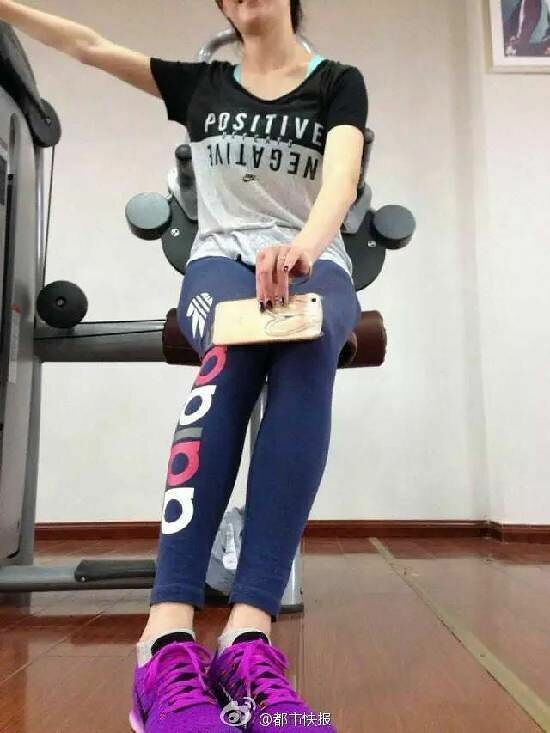 One article on Weibo has suggested that trends like the A4 waist could potentially lead to eating disorders, stating that 95% of people suffering from them are young girls who are obsessed with losing weight to meet the ruling “beauty standards”. 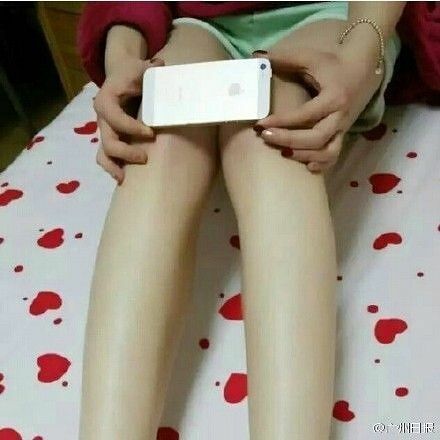 With the new ‘iPhone6 trend’, many netizens seem fed up with China’s skinny trends, calling the girls who post these pictures “brain-dead”, and wondering how the general beauty trend has come to be so unrealistic.